As a build 738 there is a new bug that seems to be affecting buffered triggers. If a player responsible for activating a buffered trigger leaves the instance, new joins will not replay the trigger. Player A and B Join the map. Player A selects one of the video players. Doing so does a number of things, one easily visible change is the volume controls turning on by the table. Player A leaves the map. Any player who joins the map will now see the room in the state as if no video player has been selected, such as there being no visible volume controls. This also affects every other buffered trigger in the above map, such as unlocking controls of the video player to everyone, buffered states of the video player such as aspect ratio, 2d/3d mode etc. The triggers in question are of AlwaysBufferOne type. 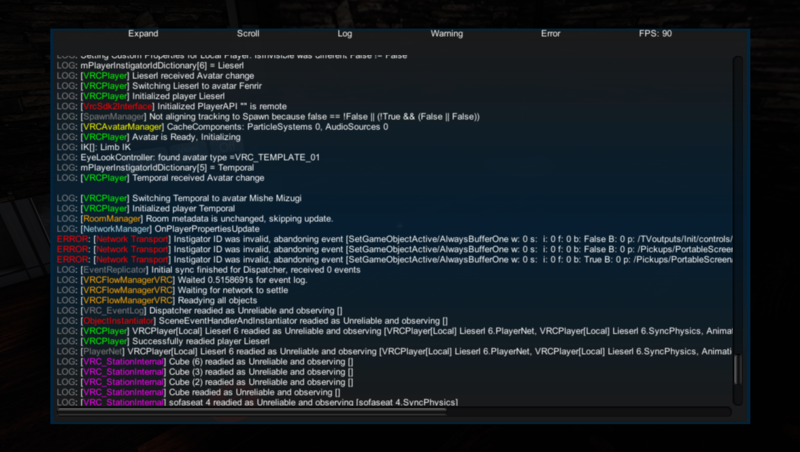 Error is also present in the error log as provided in the screenshot. This seems to also affect the buffered setplaylist as part of the seturl function of video players, throwing similar errors indicating instigator not found. 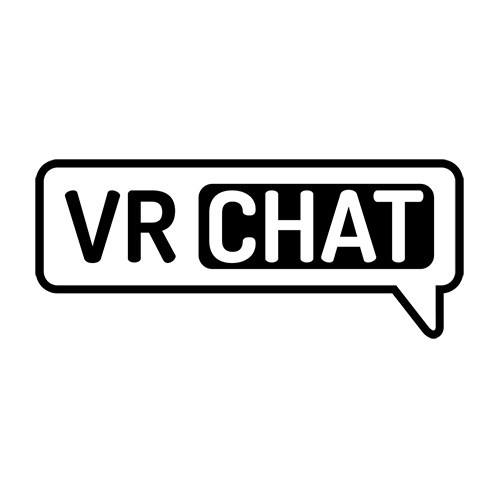 This issue should be solved in VRChat 2019.2.1, which is currently in Open Beta. @Tupper - Community Manager: can confirm that its been fixed for all use cases on my map. The other issue https://vrchat.canny.io/bug-reports/p/buffered-video-urls-sometimes-throw-instigator-id-invalid-for-new-joins-despite- also looks like it has been resolved. A similar error where instigator is not found for the video setplaylist buffers. However, the instigator was still in the map. This was an instance that had been playing a couple of videos on the stream player. On the 4th video that was played, I had to rejoin the map for unrelated reasons and was able to load the video currently playing as expected. On the 5th video I rejoined again, only to see this error being thrown twice. Locally, my client started playing the 3rd video that was set earlier. Rejoining again had the same result. Will update and or make a separate canny if I can reliably reproduce this, but unfortunately I have to leave for work right now. Apparently using multiple clients all logged into the same account works, but using all different accounts does not. Tested with the deferred events test world that has a single button to fire 256 always buffer ones. With all the same account, clicking the button and rejoining the world results in 96 triggers buffering and the rest doing nothing. (https://vrchat.canny.io/bug-reports/p/buffered-triggers-fail-to-buffer). With 3 different accounts, having one player click the button and leaving causes all late joiners to see no buffered events as this post mentions. This includes the original instigator rejoining.